He studied at the Stanford University Center for Compassion and Altruism Research and Education (CCARE), and is a certified instructor of the university’s Compassion Cultivation Training (CCT) programme and supervises Spanish-speaking teachers in training on the CCT programme through the Nirakara Institute. He undertook postgraduate studies in Compassion Focused Therapy (CFT) at the University of Derby under the supervision of Paul Gilbert. In addition to his work in CFT, Brito has offered mindfulness and compassion-based workshops and pasychotherapy training in the United States, Australia, Chile, Argentina, Mexico, Colombia, Spain and Portugal. 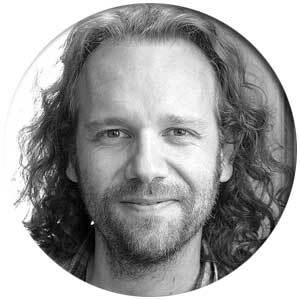 He is a co-author of the books Presencia Plena: Reflexiones y prácticas para cultivar mindfulness en la vida diaria (Mindfulness: reflections and practices for cultivating mindfulness in daily life) and and Mindfulness y Equilibrio Emocional: Un programa de ocho semanas para mejorar la salud emocional y aumentar la resiliencia (Mindfulness and Emotional Balance: an eight-week programme for improving emotional health and increasing resilience).